this is the one book you must read! 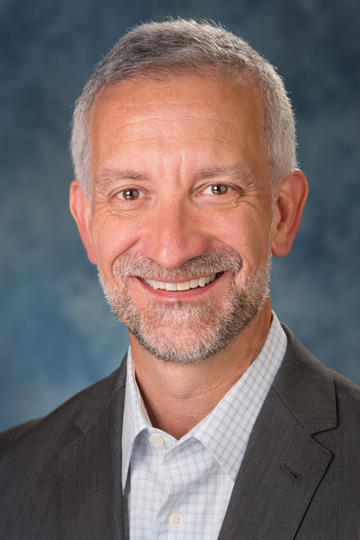 Jeff Deal is the Vice President of Operations for Elder Research with more than thirty years experience managing healthcare and consulting businesses. Though Jeff has been deeply immersed in the analytics business in a leadership roles, he well remembers his initial introduction to this rapidly-moving field, and he brings that layman’s perspective to the book. Jeff enjoys speaking on the subject of organizational challenges to meeting data analytics goals, and he chairs the annual Predictive Analytics World – Healthcare conference, which attracts leading analytics professionals in the healthcare industry from around the country. He holds a Master of Health Administration degree from Virginia Commonwealth University in Richmond, Virginia, and a Bachelor of Arts degree from the College of William and Mary in Williamsburg, Virginia, where he was a member of the wrestling team. Jeff and his wife Jennifer have four children. In his spare time he enjoys hiking, reading, and an increasing amount of travel now that his kids have all moved out of the house. Gerhard Pilcher is Chief Executive Officer for Elder Research with more than thirty years of analytics experience in the commercial businesses and government institutions in the United States and abroad. 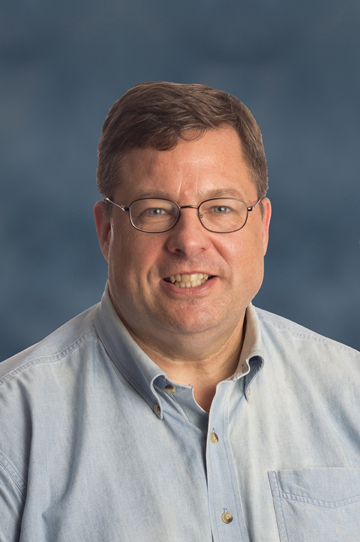 He is an adjunct faculty member in the Math and Statistics Masters program at Georgetown University and a regular instructor in the SAS Business Knowledge Series courses Gerhard currently serves on the advisory boards of the Institute for Advanced Analytics and George Washington University Master of Science in Business Analytics program. Gerhard earned a Master of Science degree in analytics from the Institute for Advanced Analytics at North Carolina State University in Raleigh, North Carolina. Gerhard and his wife, Denise, have two children. In his spare time, he especially enjoys outdoor activities, including mountaineering and trail running. A Must Read for Every Executive! If you're preparing to lead or participate in a data analytics initiative, this is the one book you must read! Are Orange Cars Really Least Likely To Be Lemons? Captures all the critical elements and decades of experiences into a few clear pages that will light the path for predictive improvements. I will be sharing it with my leadership and program managers. Great job gentlemen in making a complex equation simple to follow! Amidst the concerns about the shortage of data scientists, a larger, over¬looked obstacle is finding C-, VP-, and director-level leaders who understand enough about advanced analytics to hire, manage, and deploy solutions. Deal and Pilcher have written a practical and insightful ‘primer for executives’ to expertly fill this void. Data science and big data often don’t live up to their silver bullet hype. Why? Because IT and business are so different, and so hard to harmonize. This book is an excellent remedy; Deal and Pilcher distill a decade of analytics experience into a vital guide to what works. 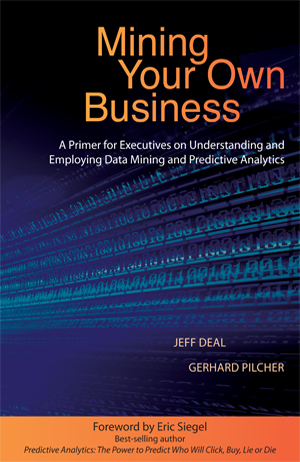 Mining Your Own Business is a must read for anyone interested in being right—by harnessing data to drive decisions. 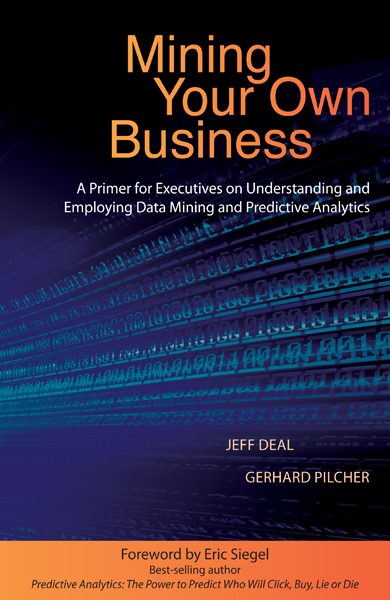 Deal and Pilcher have distilled their decades of experience into an easy-to-read book that will benefit any business person dealing with analytics. They keep technical details to a minimum while focusing on the key facts, decisions, and actions that business people need to be successful with analytics. Abundant real-world examples reinforce their practical and valuable advice. Your time reading the book will be well spent! I think this book could be a game-changer! Every business and government leader who has anything to do with data analytics should read it. The Ten Levels of Analytics: Every technical project involves some sort of analytics, ranging from simply reporting key facts, to predicting new events. This eBook defines ten increasingly sophisticated levels of analytics so that teams can assess where they stand and to what they aspire. Along the way, definitions of three types of analytic inquiry and four categories of modeling technology are clarified. The eBook illustrates these levels with examples using tabular data representations commonly found in spreadsheets and single database tables. As the ability to collect and fuse data from different sources increases, advanced data types such as time series, spatial data, and graph data are moving into the analytic mainstream. In the second portion of this eBook, the Levels are extended to encompass these emerging data types, providing data complexity as second dimension for categorization alongside algorithmic sophistication. The Ten Most Common Data Mining Business Mistakes: The results of data mining applications can have big payoffs, but the implementation of data mining techniques can also present substantial challenges. Many companies fail to reap the benefits because they make crucial mistakes in planning and deployment. This paper discusses the ten business mistakes that frequently cause data science projects to fall short of expectations. Awareness of these common mistakes will better equip organizational leaders to plan and guide data mining engagements to successful conclusions. Build models with repeatable, reliable results that do not depend on any single person or working environment to operate. Make model results available to end-users in a timely and useable manner. Monitor model performance on an ongoing basis to ensure quality and alert analysts to any degradation over time. This white paper reviews strategies for achieving these goals.